As requested by many of you, I have decided to post a list of things I would love to receive in care packages. I've separated them into two lists… I made a list of "most desired" items which have somewhat valid reasons behind why I would like to have them. The other list is my "I'm a bratty American who wants these things but truly doesn't NEED them". They would be fun to have, but truly, I'm doing quite alright without them. People have been asking for care package ideas, so if you feel so inclined, you can peruse the list of items. I will post the lists in the page labeled "care packages" (for easier reference in the future) , which you can find in a tab above my most recent blog post. You will see it next to other tabs including contact information, lists, lessons learned, etc. -It can be expensive to mail things, so I think the best route is to send the padded (or bubble lined) envelopes. It costs about $16 to send an envelope that size to me in Africa. 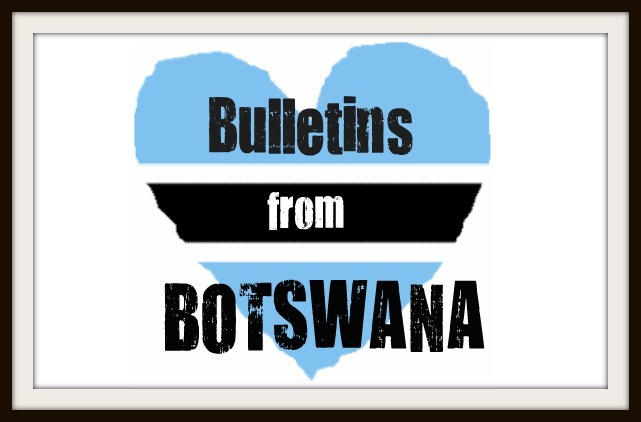 -It only costs one u.s. postal stamp to send a letter to botswana! Fun, huh? -Write USED EDUCATIONAL MATERIAL, RELIGIOUS MATERIAL, or USED BOOKS on the outside of whatever package you send. Regardless of what you actually claim on customs, the average person dealing with the package will think it's too boring to open! Thank you all for being so loving and supportive! I wouldn't be who I am today without each and every one of you.